Should you live alone, or should you live with roommates? That’s the typical question of anyone who wants to live independently in an apartment for the first time. There are many benefits to living alone, though there are several downsides too. However, any of the factors involved in living alone or living with a roommate can easily be balanced through careful planning and calculation. You just have to keep a realistic view of what to expect. Here’s a breakdown comparison of living alone versus with roommates. ● Living alone is generally more expensive than sharing an apartment. When it comes down to the core expenses of having an apartment, like paying rent, furnishing the place and even paying for electricity, sharing an apartment usually turns out to be the much cheaper option. For example, if you will be moving into an apartment that hasn’t been furnished yet, you’ll have to pay the full cost of all furniture, kitchen and bathroom necessities, and cleaning supplies. Having to buy everything on your own can be a big strain on your budget. In terms of rental rates, living in a small one-bedroom apartment can end up being more expensive than sharing a two-bedroom place with a roommate in most cities. Regardless of the neighborhood or proximity to expensive areas, most two-bedroom apartments rarely cost twice as much as a studio does. Depending on your options, living alone can cost you a couple hundred bucks more per month in rental. Another aspect of living alone that can rack up the bills is utilities. Cable, Internet use, and electricity are usually cheaper when shared between people, though the amount you’ll save can end up being negligible. ● Living alone gives you more control over your expenses. Of course, there are financial upsides to living alone as well. Without other people making use of your water supply and pantry stock, you’ll be able to better control how much you spend in a month. You can easily cancel out cable subscriptions or other services that you don’t need, without having to consult with a roommate. You also don’t have to worry about a roommate who excessively makes use of water or electricity. ● Living alone is better for privacy. Money issues aren’t everything. For some people, paying a bit more for privacy and greater control is a perfectly valid trade off. 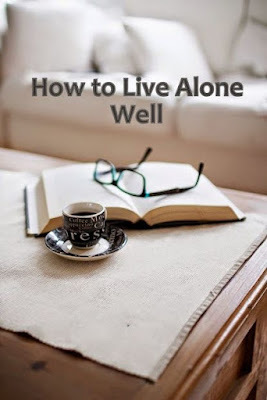 If you like having time alone, living alone would make it easier for you to relax and recharge after a workday. Most apartment sharing setups are geared towards saving money can end up being pretty cramped physically, which will just stress you out more. How much you are willing to share is also a consideration. Whether it is your appliances in the kitchen or your time socializing, having a roommate would mean that you’d have to be a bit more open and less private about your belongings. Having privacy and independence is much easier when living alone. Conflicts are inevitable when living with roommates. They can also be pretty horrific. Having to live with the same person you are fighting with, even if it’s over something petty, is troublesome to deal with. Fights between roommates can arise over anything from the level of noise to financial issues. Even if you screen your potential roommates, living with other people will get difficult at some point or another. If you are comfortable with the idea of being part of a conflict, or mediating one, in the future, then living with others would be okay for you. But the easiest way to get out of this potential trouble is to live alone and not have roommates altogether. Overall, it is cheaper to live alone. However, if you’re truly committed to a solo lifestyle, don’t get discouraged. Being realistic about what’s within your budget and planning out your apartment can allow you to live in relative ease without any roommates.